Welcome to the OAH Annual Meeting Crossroads on the H-Net Commons! 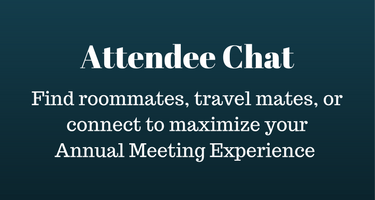 Collaborate on panels for the 2020 OAH Annual Meeting taking place in Washington, D.D., find potential roomates or travel mates for the 2019 Annual Meeting, or discuss issues facing the profession. Discussions can be posted on one of H-Net's area specific networks, such at H-AfroAm (see All Networks). The Crossroads will aggragate all OAH-related content here for your convenience. 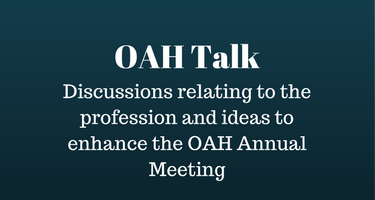 ** Also add OAH 2018 or OAH 2019 as a Keyword to signify which meeting year is relevent to your post. If you experience any trouble using the platform, please contact the H-Net Help Desk. 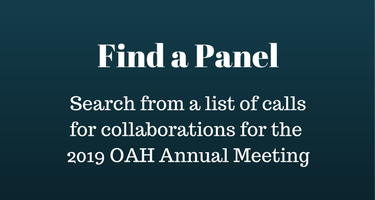 Proposals for panels at the Organization of American Historians Annual Meeting in Washington DC are due by February 1. You can search for prospective panelists and ideas at the OAH/H-Net Crossroads site, which also links to the CFP. Your network editor has reposted this from Plan-Afro-Am. The byline reflects the original authorship. 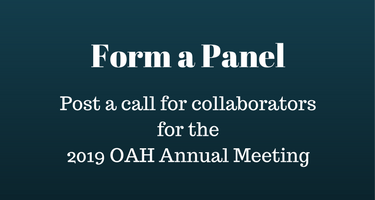 Call for Proposals: "(In)Equalities" 2020 OAH Annual Meeting, Washington, D.C.
Read more about Call for Proposals: "(In)Equalities" 2020 OAH Annual Meeting, Washington, D.C.